As we wander around Guatavita on the way to Pizza Niz we notice there are 2 distinct sections. The main colonial square and surrounding old city, and then crossing the main road and up the hill another part of the city. 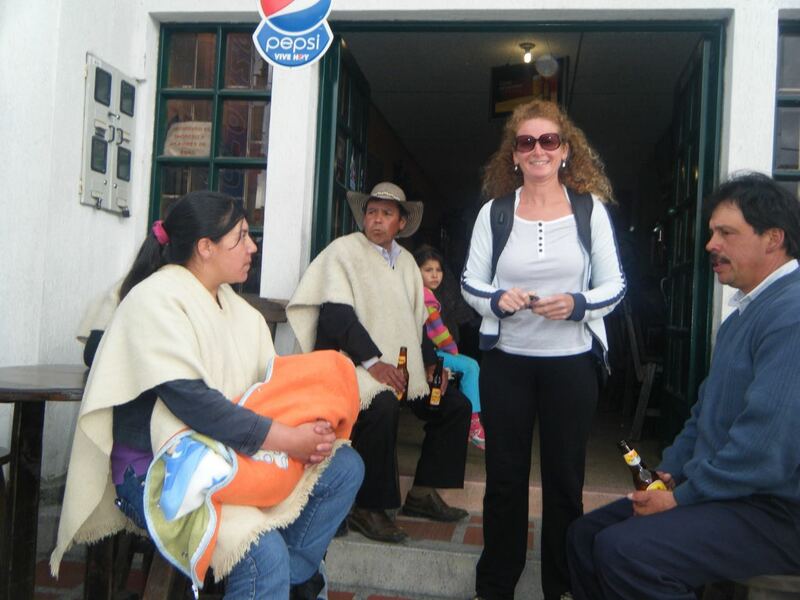 Apart from weekends, the town of Guatavita in Colombia’s central area is quiet. The locals hang out at some section of the road at the top. This is the area to head to. Here, there is no tourist prices and is always busy from Saturday afternoon to Sunday late in the evening. It is here that we discovered Pizza Nix. I rarely write about businesses that impress me. 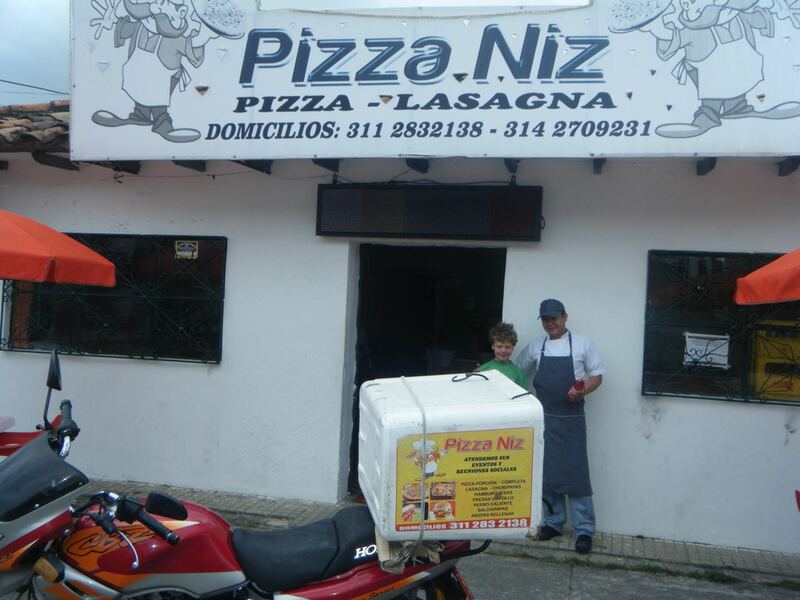 However, there is just something special that made Pizza Niz very outstanding. 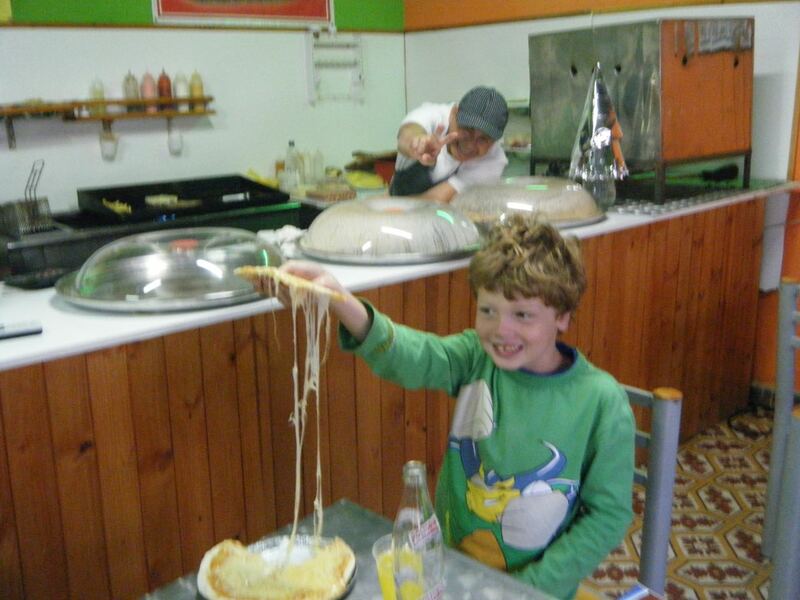 The owner of Pizza Niz was very friendly with a cheesy grin to match his cheesy pizza! He is lovely, and I mean REALLY friendly and genuinely nice! I am glad we made friends with him. 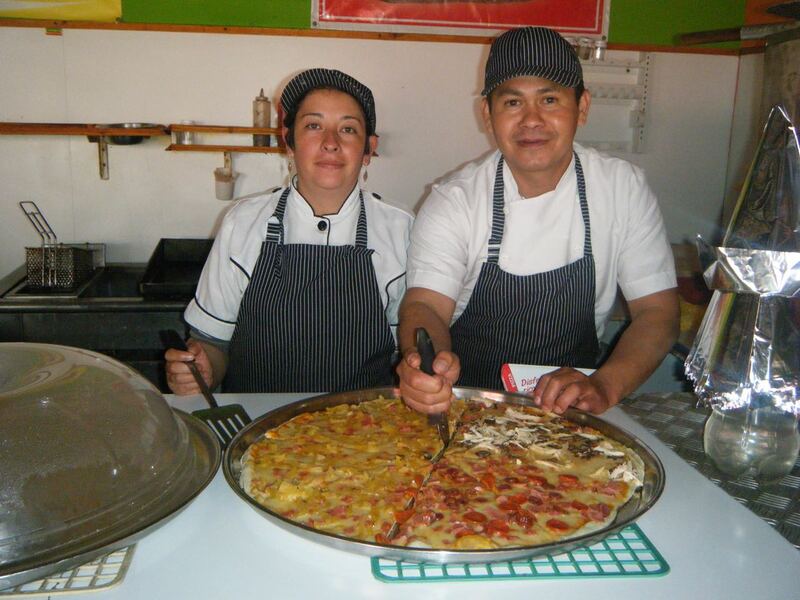 We are here for traditional Colombian pizza. It is different than Italian pizza but has definite similarities, and it is good! I liked the way he helped my son to order in Spanish. He went out of his way to be kind to Explorason, yet he is just another kid and another customer. Look in the photo above and you can see this happy man waving! He is full of smiles and loveliness. He knew his pizza order and gave him special treatment. But the best was the prices of these pizzas. They are really inexpensive and it is enough for a whole meal. My son might like his pizza plain whilst I had masses of toppings. The price never changes and the quality’s fantastic. It reminds me of the time we hunted out one of the best pizza places in New York. This is one-tenth of the price! I noticed that Pizza Niz is packed with locals on weekends when we come back on a different night. 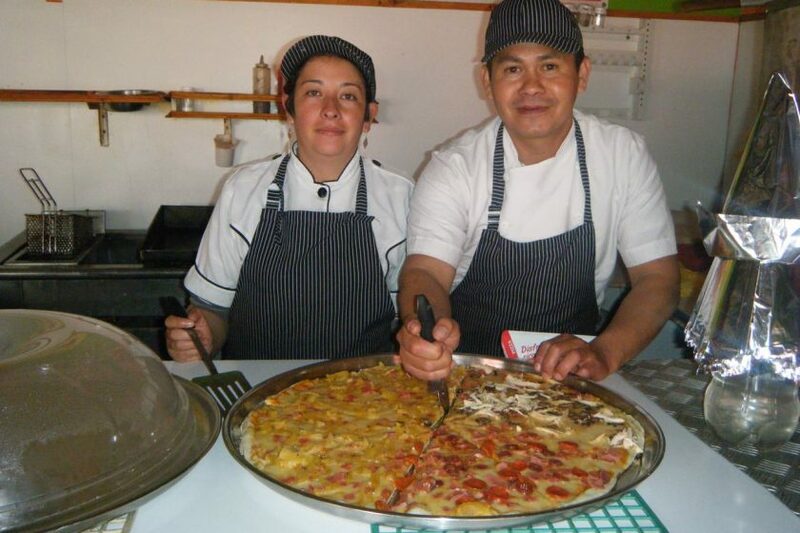 So as we say goodbye to Guatavita, we remember the best pizza and service. THANK YOU Pizza Niz! Where is the best pizza you have ever eaten? What are your favorite toppings to have on your pizza?